Home » Blog » SurroSister Secrets.. Part 9! Looking over a protocol for a gamut of meds about to go into my body. MY body. This body that has been strong enough to bring my sweet babies into the world will be manipulated and medicated and readied to prepare for a sweet little one. A sweet little that will not be mine, but belongs to another. A sweet babe who is wanted, and wished for, and prayed for, but who needs help getting here. Deep breaths staring down the protocol I’ve just received. I’ve been checking my email in anticipation of the protocol, and bugging the clinic a mere handful of times. I’ve been so impatient for it to arrive, and now that it’s here I feel like I need to take a moment to check myself. 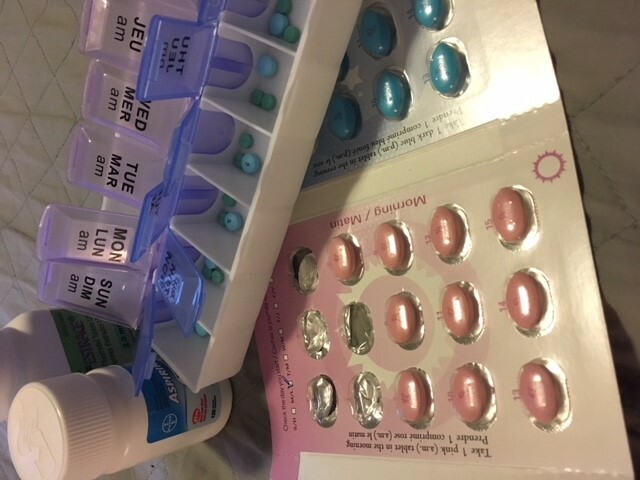 I’m learning as I go, and did I anticipate meds? Yes. Did I anticipate a protocol a page long with countless shots and a half a dozen different medications? Yes? Sort of? Somehow seeing it on paper is a different thing than imagining it. My mind jumps to my intended parents. “I can’t wait to see them as parents.” It’s the fresh resolve I need to face down the new, and the different, and the intimidating. I get out my calendar and start marking days. Injections, protocol changes, ultrasounds and transfer. This protocol covers a span of almost two months; if a first transfer is successful it’s up to five months of medications. “A couples forever will change. Their whole life will change, as well as their families lives.” This is something I can do, this is a good I can do for the world. A bag of medications, a calendar full of dates, and a heart full of optimism. I’m ready.